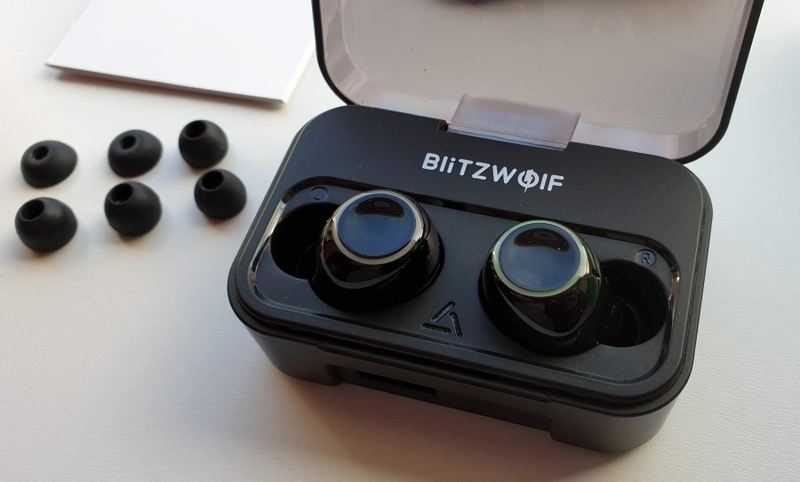 Happily, Blitzwolf has addressed all three points, even if it hasn't quite knocked the first one out of the park yet. Plus it's added USB-A out from the accessory, making it into an emergency phone charger into the bargain. 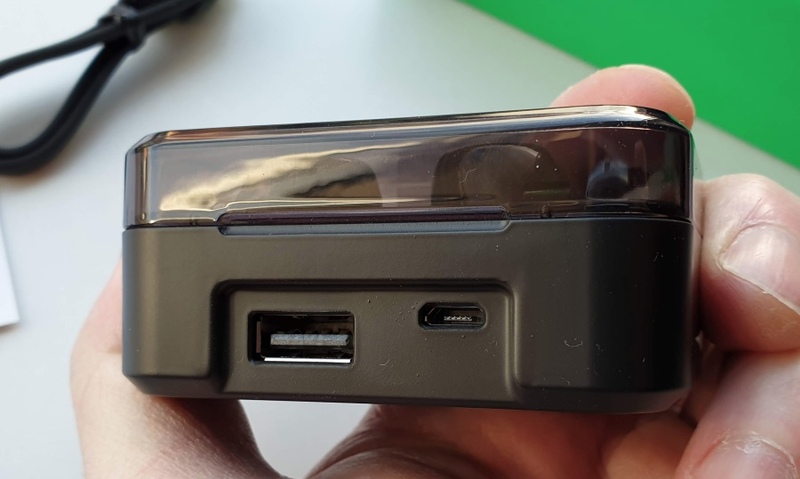 Now, don't get too excited - 2600mAh only equates to about 2000mAh once transferred into a phone, so we're not talking a full charge of the latter, plus the output's only at 0.5A, so consider this 'trickle' charging at best. But, in an emergency on a day trip out, with power left in the charging station, why not use it to add charge into your phone too? 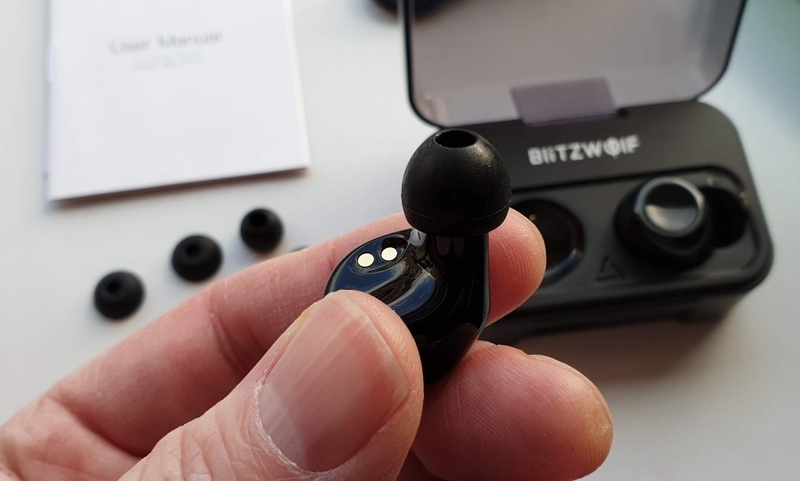 The silicone buds supplied have expanded since the earlier model, there's now an extra set with larger flanges - just for me? Or maybe lots of customers complained? Regardless, the large size now fits my (Western?) ears just fine, making a better seal, for better audio, and also stopping the FYE-3 from falling out. The audio is better than on the 'FYE4', partly because of the seal and partly because better drivers have been used. So there's now some bass and a slightly richer experience in terms of frequencies, certainly higher quality music reaching my ears compared to Apple's outer ear Airpods. But.... it's not enough for me. 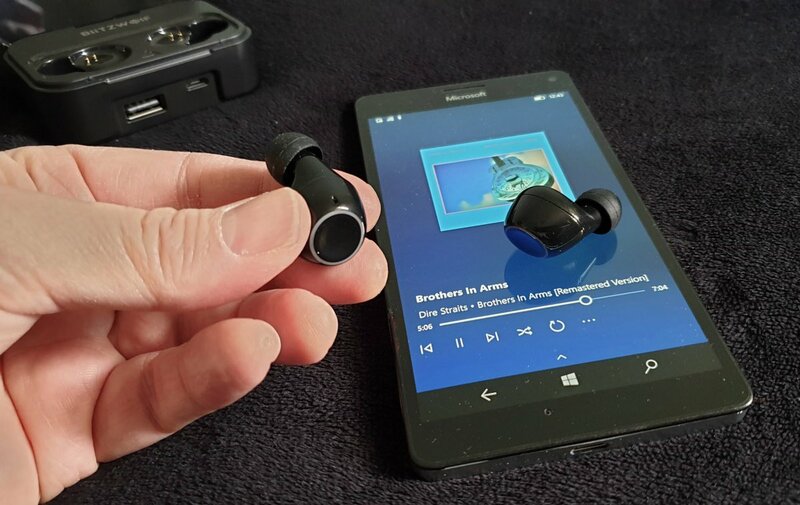 The whole point of these 'adventures in Bluetooth' reviews is to find a system that can get close to my wired headphones in providing a rich audio experience with no compromises. And I've yet to find an 'twin earbud' design that can get close to this. 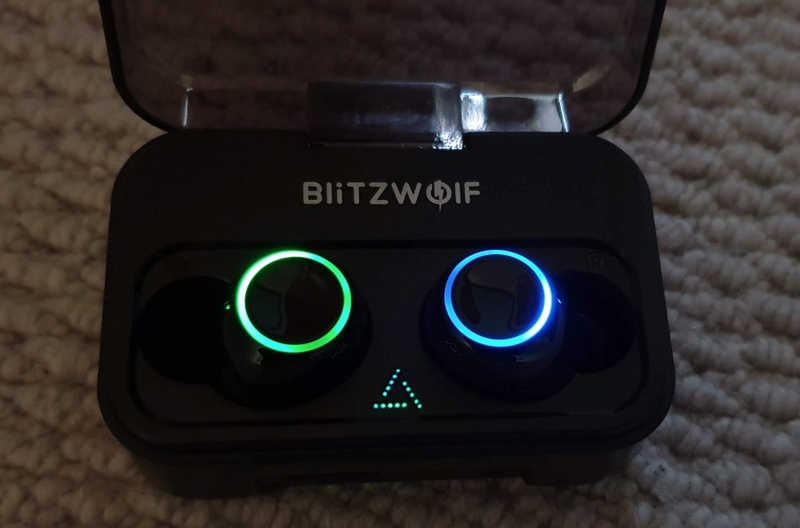 Blitzwolf have improved on the original design in multiple ways, and I love the emergency power option, but they're not there yet. I'm looking ahead another year to their next iteration. Better bass from a larger driver, crisper top end, larger capacity internal battery, higher current options for USB-A output. Ideas for you, Blitzwolf.